Well, they’re at it again. New guidelines on reducing cardiovascular disease risk have been released. They’ve called these “much anticipated,” however, I call them “inconsistent with research” and “likely to cause more harm than good.” The guidelines, appearing in Circulation, are likely to change clinical practice, unfortunately. They are the result of collaborations among the American Heart Association, the American College of Cardiology, and other organizations. Essentially, it makes it far easier for physicians to prescribe statins (cholesterol lowering medication). It will likely result in tens of millions more Americans begin put on these medications. Let’s start with the things that I do agree with in the new recommendations. There’s no single, ideal diet for weight loss. Intensive, supervised lifestyle changes for at least 6 months received strong endorsement. This is important. We offer professionally supervised weight loss programs at our office for the simple reason that it reduces the risk of many diseases and it can be very difficult to manage alone. That’s it. That’s all I agree with. The rest of the recommendations fail to actually focus on the problem: INFLAMMATION! They focus far too much on treating cholesterol without any actual targets in mind to treat. “The traditional view of atherosclerosis [hardening of the arteries] as a lipid storage disease [cholesterol accumulation] crumbles in the face of extensive and growing evidence that inflammation participates centrally in all stages of this disease, from the initial lesion to the end-stage thrombotic [clot forming] complications.” This quote is from a great study that reviews the mechanism behind cardiovascular disease. I added the information in the brackets to make it easier to understand. The pharmaceutically-driven marketing and media would have you believe that high cholesterol alone will cause it simply to accumulate in your vessels eventually narrowing them so much they can no longer deliver enough blood to your brain or heart. Or alternatively, the narrowing causes a clot to form only to be dislodged and sent “downstream” where it gets caught in smaller arteries causing a heart attack or stroke. This just isn’t true! Want to know what actually happens!!!? Inflammation is central to this process. It begins with inflammatory changes in the cells that line your blood vessels. These cells are collectively called the endothelium. The cells begin to express adhesion molecules. These molecules do what they sound like – they make things stick! However, they don’t make cholesterol stick, they attract monocytes (a type of white cell), which then travel through the walls of our arteries (BAD) under the influence of various proinflammatory molecules designed to attract more white cells. Once within the arterial wall, the monocytes continue to undergo inflammatory changes, transform into another type of white cell called a macrophage, swallow up cholesterol, and they become what is called a foam cell. T lymphocytes (another type of white cell) also migrate into the arterial wall, where they release proinflammatory cytokines (messengers) that amplify the inflammatory activity. Through these inflammatory processes, the initial lesion of atherosclerosis, called the fatty streak, is formed. This continues to evolve to cause the dangerous atherosclerotic plaque, but every step along the way involves inflammation! There you go – as you can see, it is not caused simply by the accumulation of “too much” cholesterol as it floats through your blood stream. It all starts because of inflammation. Without the inflammatory process the white cells of our body cannot penetrate the walls of our vessels. If they cannot get into the walls of our vessels, they cannot swallow up cholesterol and begin to build plaque. It really is that simple. Every time you eat, have a source of healthy protein (chicken, fish, grass-fed beef, bison, etc.) and a fruit or a vegetable. Make the emphasis on vegetables. Keep grain (yes, even whole grains) to a small portion of your diet (no more than once per day). Combine resistance training with cardiovascular training. Get at least 45 minutes of moderate activity 3 times per week. High intensity interval training is very beneficial. If you incorporate these things into your life, you’ll avoid inflammation and you’ll live a long, healthy life without statins!!! Magnesium is an incredible mineral. It is involved in over 300 reactions in the human body. Magnesium actually accounts for 1% of our body weight so clearly it is important. Most of the magnesium in our bodies is found in our bones and soft tissues. Only about 1% is found in the fluid compartments of the body. As stated above, magnesium is critically important in many systems in the body. It is involved in regulating DNA synthesis, energy production, protein synthesis, muscle contraction, and blood sugar regulation. Additionally, it is critical for a process called vascular reactivity. Without vascular reactivity our vessels cannot adapt to changes in the internal environment and that’s the first step to the formation of plaques in the arteries. If this continues, our vessels become blocked and heart attack or stroke is the result. Similarly, magnesium inhibits the formation of clots. If you are low in magnesium, you may easily develop heart disease. Symptoms of low magnesium include nausea, vomiting, headache, low appetite, muscle weakness, spasms and tremor, mental confusion or personality changes. Additionally, if severe, balance and gait problems, cardiac arrhythmias, rapid heart rate and seizures may occur. Poor intake of magnesium has been associated with high blood pressure, diabetes and cardiovascular disease. There are several ways to test for magnesium levels. I will discuss two of them. The first is called serum magnesium. This measures the amount of magnesium in the serum (fluid) part of the blood. Remember, blood is made of two part – fluid (mostly water) and cells. 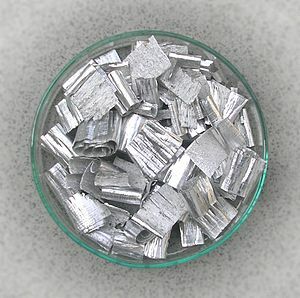 This measurement is not always reflective of total magnesium stores. As a matter of fact, normal serum levels may be present despite severe cellular deficits. So what is one to do? You must check red blood cell (RBC) levels of magnesium. This is also a blood test, but it is far more reflective of your true magnesium status than serum levels are. Essentially this test measures the magnesium that your cells have, not simply what’s in the fluid part of your blood. Magnesium is found in a variety of foods. Below is a list of magnesium-rich foods. Magnesium is very important. If your intake is low, you are putting yourself at risk for heart disease. Consider adding the above foods to your diet or the possibility of a magnesium supplement. Gluten, one of the main proteins found in wheat, is a troublesome little guy. The human gastrointestinal tract has a very hard time completely digesting it AND our immune systems don’t like it. In addition to being found in wheat, gluten can also be found in rye, oats and barley. These are best avoided if you have celiac disease. Celiac disease, present in as many as 2% of us, is a disorder in which gluten causes an autoimmune reaction and atrophy of the GI system is the result. As the condition continues, more and more cells inside our GI tract are killed with resulting malabsorption of vitamins and nutrients. In serious cases it can be deadly. For many, however, the symptoms include weight loss, diarrhea, gas, bloating and pain. Celiac disease is not to be confused with gluten sensitivity. For many years doctors believed that a patient had celiac disease or nothing. They fervently denied the possibility that someone could simply be sensitive to gluten. This has changed. This list is by no means all-inclusive either. 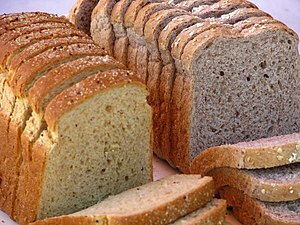 When a patient presents with a list of symptoms that don’t seem to fit together, have not responded to traditional types of treatments and have been long standing, one of the first things I do is check for gluten sensitivity. If it’s not there we move on to the next treatment strategy. However, for many in my practice, eliminating gluten has proven to be a very effective treatment. If you’ve had a chronic health condition that has not responded to various treatment types, consider being checked for gluten sensitivity through a specialist with knowledge of the most recent research in this fascinating field. It just might be the cure you’re looking for. Migraines can be debilitating. For some, the occurrence of a migraine means laying down, curled up in a dark room for hours on end while their head throbs away. While head pain is the most pronounced symptom other things like light and sound sensitivity, nausea and vomiting and general fatigue are not uncommon experiences. Many are reluctant to take the powerful pharmaceutical agents that are often recommended to help alleviate the symptoms of a migraine. They can have unwanted side effects that can outlast the migraine itself. There are natural options that exist. Recently, the American Academy of Neurology and the American Headache Society reviewed the evidence that exists behind drugs and behind some natural treatments for migraines. They found there is good evidence of effectiveness for a range of natural products to reduce the severity and occurrence of migraines. For more information, watch below! Is there really an obesity gene? I think the answer is yes and no. First the yes. There are likely genes that predispose someone to being overweight or obese. It is not just one gene but perhaps 10 or 50, or maybe 1,000. I don’t think we will ever be able to say for certain what specific genes are the “obesity genes.” Certainly it is more difficult with something like this because metabolism is so complex. The answer to our question might also be no. While our genes are responsible for many things, the environment plays a huge role. Diet and exercise are potent modifiers of our genes. Someone who is genetically predisposed to being overweight may not be overweight with proper diet and exercise. And if that’s true then, in a sense, being overweight is not genetic.